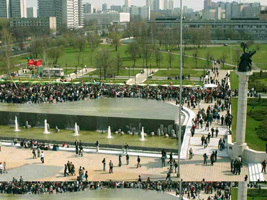 People’s Friendship University of Russia (PFUR) was founded by the Government on February 5, 1960 in Moscow. Over 39 years since its foundation the University has gained world – wide recognition as a major educational and research centre. 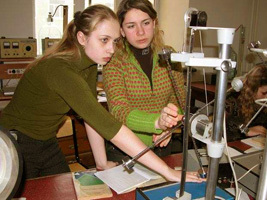 According to the rating of the Federal Agency of Education of Russia Federation, People’s Friendship University of Russia is considered the third among 40 Russian first - rank Universities after Moscow State University and State University of St. Petersburg. The academic staff consists of 47 professors, 110 associated professors, 30 senior lecturers, 2 assistant lecturers, out of them 47 – D.Sc holders and 118 – Ph.D holders. The Faculty Scientific Council is the leading body at the faculty. There are specialized dissertation councils on D.Sc and Ph.D degrees in the fields of Maths, Physics and Chemistry. 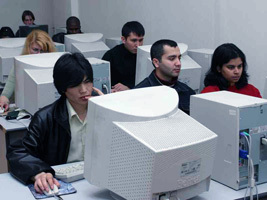 The students are enrolled to Bachelor and Master programs. Dean: Professor V. V. Gorchakov, M.Sc., Ph.D. (Biology). Dean — professor N.S.Kirabaev, D.Sc (philosophy). This Faculty has undergone a great organization and academic evolution for the past 45 years. It has become an independent powerful and modern academic and scientific School, that offers the Bachelor, Master and postgraduate (Ph.D) courses of study. The academic staff of the faculty counts 25 professors, 125 associated professors, 268 teachers and lectures including 3 D.Sc and 106 Ph.D holders. The director - S.V.Dekhtyar, МВА holder. The Institute of hotel business and tourism was set up in PFUR in 1997. The Institute was set up in 1990 as a structure division of the University with rights of the faculty. Initialy it was called the International School of Business and it was one of the leaders in the field of business education in Russia. 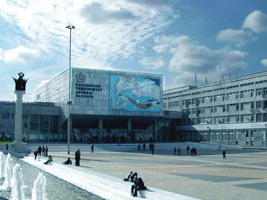 The institute of foreign languages is one of the innovation structural divisions of PFUR. The duration of training in the department of Linguistics is 4 (Bachelor) and 2 years (Master). The major for the Master program is “Theory of communications and international public relations”. The departments of Social pedagogy offers a 5-years Diploma Specialist course. 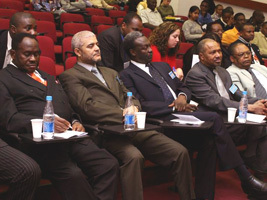 The Institute has courses of foreign languages as extra-curriculum classes. All students study on a contract basis. 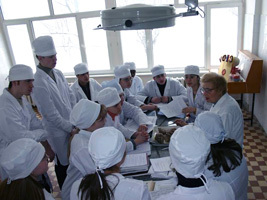 The institute was set up by the decission of the University Scientific Council in 1997 as a structural division of the University on the distant form of training with the rights of the faculty. Is there really Mechanical engineering in PFUR because in PFUR official website there is no mention of mechanical engineering. So give information as fast as possible. what i can do for study in this university ? am a graduate of pure and applied physics in Nigeria, i wish to go for Msc in theoretical physics and possible Dsc in theoretical physics. IAM A 1986 GRADUATE OF THIS UNIVERSITY. CAN I SEE MY RECORDS? hey , i would like to study engeneering at this university, what are the procidures for inrolment? Hey ,I am coming to this university and I am soo excited of it and my part of study should be civil engineering but I don't know can I learn Russia or not !!!!!!! But I have a question can we change our university after one year learning Russia like changing of PFUR to BAUMAN. Or another ??? Pliz reply as soon as possible !! !